Finally I got out of the airport hotel and got something in town! 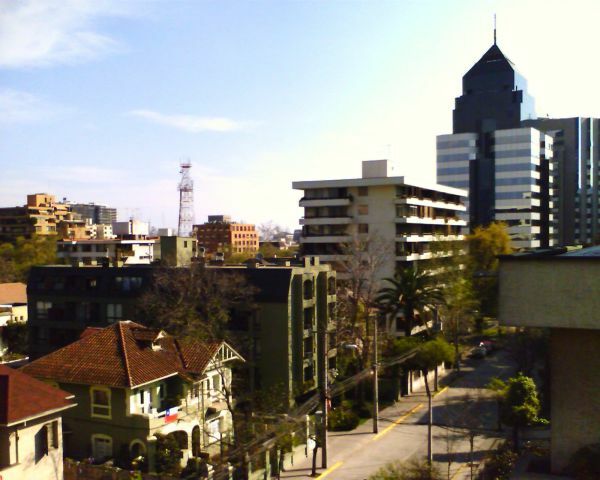 This is the view from the roof of the "Hotel Coronel" in the "Providencia" part of Santiago. Providencia is hands-down the best part of town to stay in. Lots of shops, restaurants, and bars. Beautiful place to just get out and walk around.